Gary will discuss market-based strategies for developing economic power in communities of color. Event includes breakfast. Sign-up deadline Monday February 25. Given the demographic changes occurring in the United States, many in the business and philanthropic communities recognize the need for equalizing the playing field and developing economic power in communities of color. Data show that market-based strategies are an effective means to address economic inequalities, and that increasing the number of minority-owned businesses is an essential strategy for the economic viability of our country. Access to capital, access to markets and access to trusted advisors are proven methods to increase minority participation in the business landscape. Meda, a minority business support organization based in the Twin Cities, is the leading driver of this effort in the region. Since its inception almost 50 years ago, Meda has worked with entrepreneurs of color to grow and scale their businesses and has assisted some of the top performing minority businesses in Minnesota, including Shaw Lundquist Associates Inc., Knock Inc., Metropolitan Transportation Network and more. 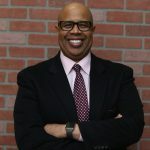 Gary L. Cunningham, President and CEO of Meda, will discuss the work Meda is doing to reach more entrepreneurs of color at all stages of the business lifecycle through a number of new initiatives and partnerships focused on helping these entrepreneurs succeed. Gary joined Meda as President and CEO in August 2014. Meda’s proven market-based solutions address racial economic inequities by fostering minority business development. For the past three years, Meda has been recognized as the top performing Minority Business Development Center in the country by the US Department of Commerce. He received his B.S. in Public Policy from Metropolitan State University and an MPA from Harvard University's Kennedy School of Government.